As a Green Sanctuary, we are mindful of the climate crisis and the current environmental injustices. We aim to limit our impact on the environment and often you will find biodegradable bags and other environmentally friendly tools available for sale at coffee hour. 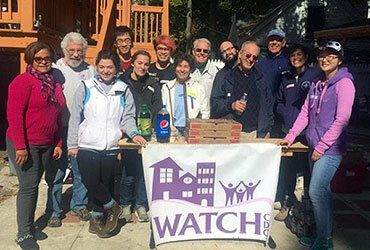 We also have sponsored work days with WATCH CDC when parishioners have helped make homes in Waltham more energy efficient. Many of our members are involved with the Lexington Global Warming Action Coalition. The UU’s Commit2 Respond initiative is an important area of consideration for this congregation. If this is your area of interest, please contact the Social Action Ministry.